May 1943. Houston, Texas. 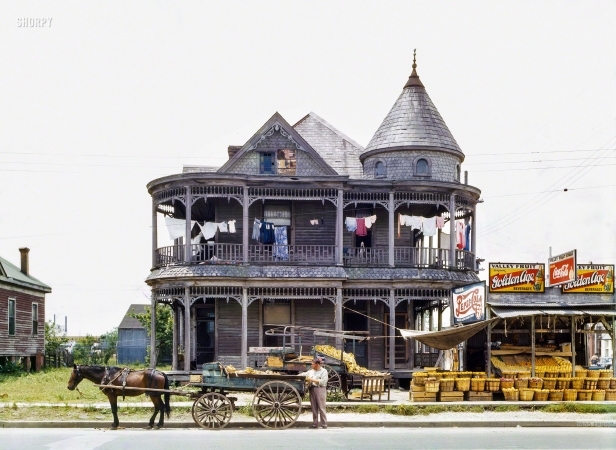 "Old house with fruit stand on Franklin Street."